London friends: Come here Restless author Samuel Thrope l give a lecture on my new translation of Jalal Al-e Ahmad's The Israeli Republic at King's College London's on Tuesday, January 21st. The lecture, "Israel in Iranian Eyes: Jalal Al-e Ahmad's Israel as an Islamic Utopia," examines the acclaimed twentieth century Iranian writer's most provocative claim about the Jewish State. 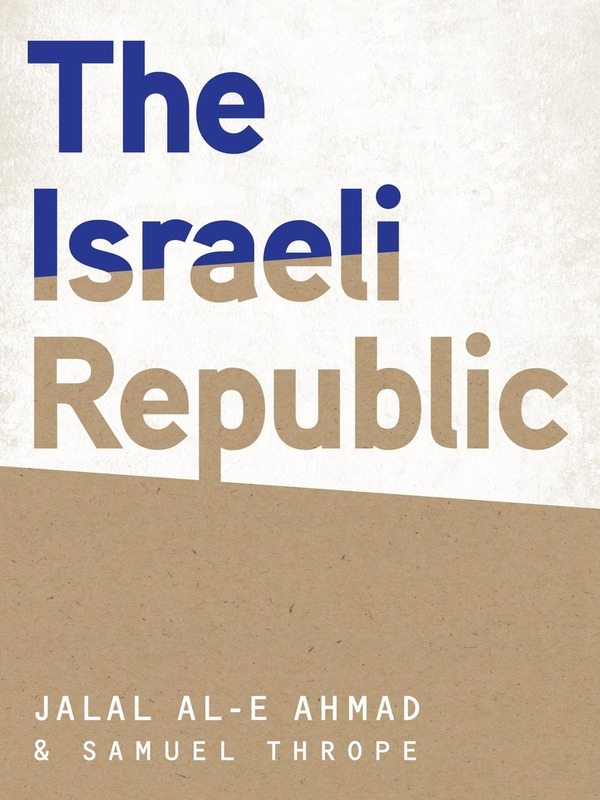 In the travelogue he wrote after his 1963 trip to Israel, Al-e Ahmad argued that Israel is an Islamic utopia: a model society to be emulated by Iran, and a means to free Muslims everywhere from their subservience to the West. The lecture will be at King's Strand Campus, room 342N at 6:00 pm on Tuesday, January 21st.